This time I was lucky. 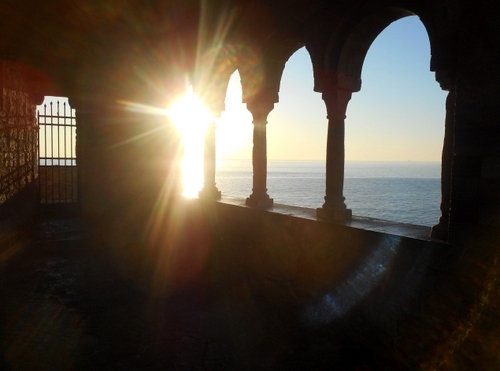 Signor Sarti on tel 338 28 79741 was the right person to contact in order to visit the ceramics museum of Camporgiano. I returned to the little town in the upper Serchio valley dominated by its massive Estensi fortress and met him. We entered into one of the four great turrets forming a quadrilateral and at last got to see these long-for ceramics. Where did these ceramics come from? There was no pottery industry in the area so how did these pieces come to be here in such quantities. Signor Sarti explained it all to me. The original fortress was built in the 1300’s by the condottiere Castruccio Castracani before the advent of firepower and had high thinnish walls to deflect arrows. When cannonballs and muskets came into the fray and the town was conquered by the Estensi dynasty something defending against the new weapons of war had to be thought out. So a new fortress was built in 1446 encircling the old and displaying the inclined, thicker and lower walls which are known so well by those who visit Lucca. There was, thus, a hollow space created between the old and new fortress walls and the inhabitants used this as a dump, over the years for their old, broken or unwanted plates and pottery items. Most of these items had come from that capital of the best Italian pottery Faenza – from which, of course, we get the word faience. The main buildings of the Estensi fortress were irreparably damaged in the 1920 earthquake but the massive walls withstood the seismic shock and a private residence was built on top of the walls. Quite by chance after the last war, during an archaeological dig, these pottery waste dumps were rediscovered and found to contain some truly precious pieces of renaissance works dating from the fifteenth to the seventeenth centuries. These included everything from plates to pitchers, bowls and tiles. A museum was eventually opened in 1976; restored in 1999 and again closed this century for several years until it was recently reopened. In fact, when we entered the museum was covered with a layer of dust which the custodian was desperately trying to sweep away since the whole interior of the bastion had been closed for some four years. 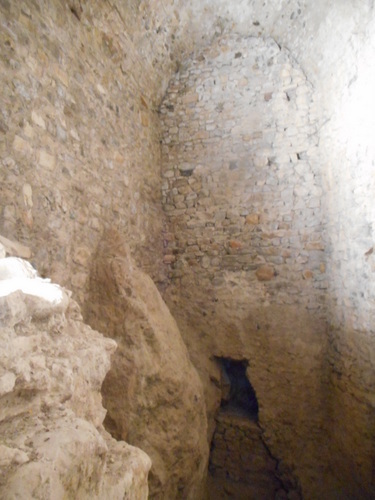 Here is the area where the majority of the ceramics was found – between the walls of the old and the new fortress. The collection was well lay out and there were some quite magnificent examples. I was also able to visit the beautiful private gardens and met a charming couple from the USA who were also ‘castling’ in the area. They’d been to Italy at least twenty times and had enjoyed most of the fortresses and castles that dot the Garfagnanan and Aulla regions. 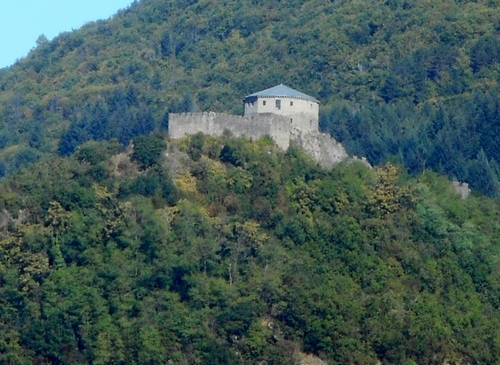 I pointed out to them the fortress of Verrucole (described in my post at https://longoio2.wordpress.com/2015/08/13/a-stunning-castle-comes-to-life/) which stands opposite Camporgiano near San Romano and truly the Scythian gates of the upper Serchio. I now headed towards another great new discovery for me – the recently constructed Tibetan bridge over the Lake of Vagli. But that area deserves a whole new post! Brisighella seemed a pretty name for a small town and it was a truly pretty, even spectacular place. We’d now crossed over the appennines into Emilia Romagna and found the locals speaking a very differently accented Italian, almost Venetian in fact. Where to begin with Brisighella? High above the little town we spotted the imposing Fortress standing high like Kafka’s castle. It does require a little climb with over six hundred very steep steps (if you have a car then, of course, it’s much easier as there’s a twisty road up) but it’s worth changing into a human equivalent of a mountain-goat to get to the top. The fortress is quite majestic and was built strong enough to keep Federico da Montefeltro, the crunched-nose ruler of Urbino, out. ‘La Rocca’ houses an agricultural museum (closed when we were there) but the best thing about it are the views which are wondrously spectacular, looking over the Romagnan pre-appennines and showing off the precipitously situated alarm bell tower and the little sanctuary of Monticino precious to the Brisighellians. These buildings are placed on the ‘tre colli’, (three hills) symbols of the town. The walk down to the old town reveals a highly picturesque centre. 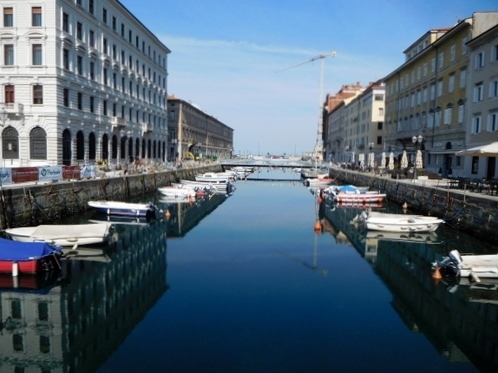 There is also what must be one of Italy’s most unusual streets. It’s called ‘la via degli asini’ or ‘donkeys’ way’ and is a covered arcade running above street level. Originally part of a defensive system, the street takes its name from the fact that it once housed stables for donkeys bringing in chalk stone from the chalk mines the area was once famous for. 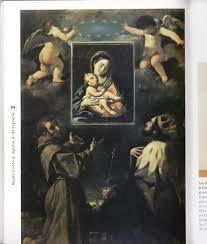 and entered a church with a painting by Guercino within it. 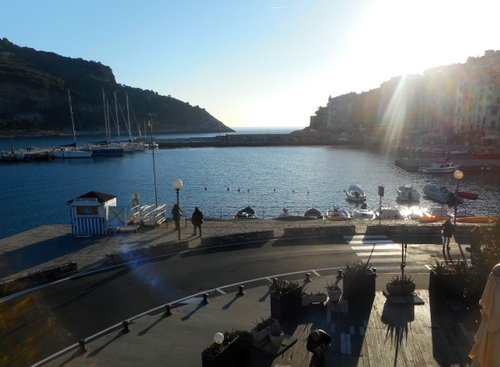 We could have spent days in this delightful town for all around are marvellous walks and spectacular geological formations including caves and, of course, vineyards growing the famous Sangiovese wine! 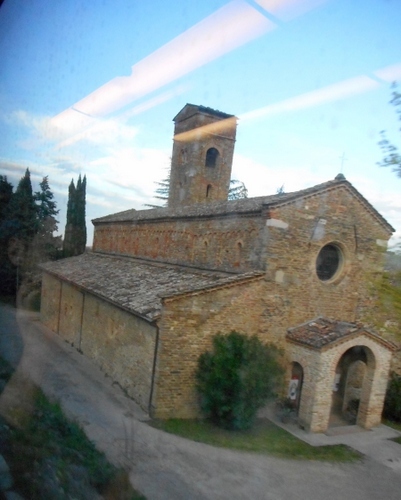 On our return journey we just managed to take one quick photo from our railway carriage of the Pieve di S. Giovanni in Ottavo (pieve del Thò), a venerable romanesque building, one of the oldest in Italy and which dates originally from the fifth century. Ah well! Next time. How tantalizingly short is life! 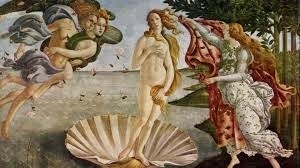 If the saying goes ‘one lifetime is not enough to see Rome’ then I doubt the finest supercomputer would be able to tell me how many lifetimes I’d need to possess in order to visit all the marvels of this marvellous nation. At least a cat is at an advantage in this!